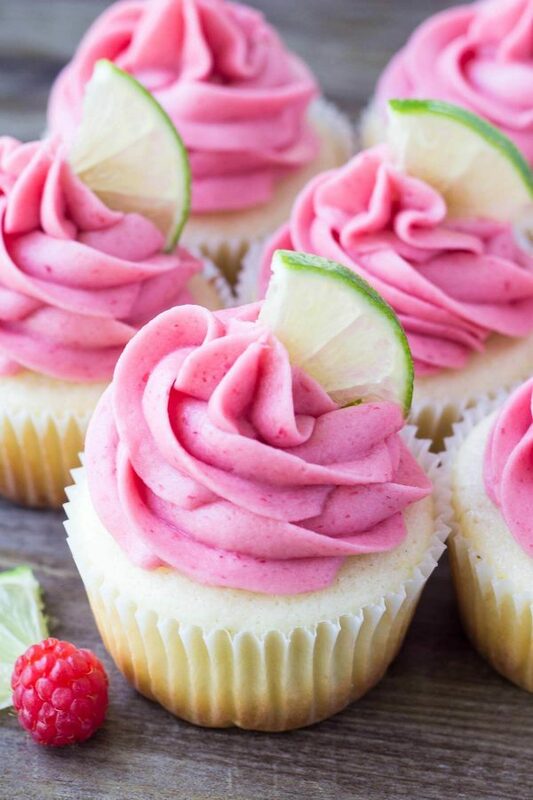 These Raspberry Lime Cupcakes are so pretty and have such a fun flavor combo. 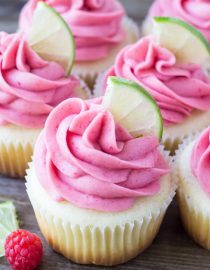 They start with moist vanilla cupcakes with a fresh hint of lime, then they’re frosted with raspberry buttercream made from fresh berries. Can Cupcake Batter Sit Overnight? 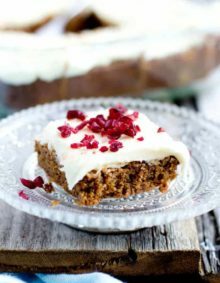 You can refrigerate cake batter between batches if you are making more layers or cupcakes than you have pans for and need to reuse your pans, but this done only during the baking and cooling process. Cakes may not rise well or bake the same way if batter is stored overnight or longer. Hi there! 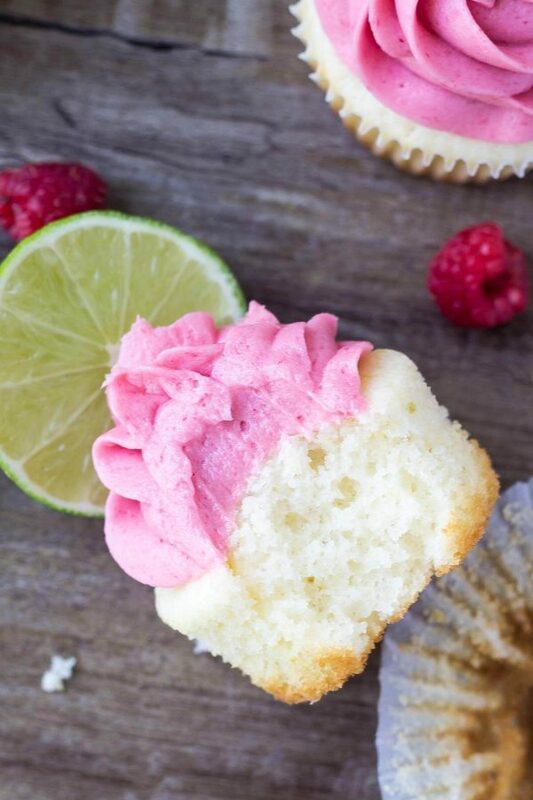 It’s Fiona from Just So Tasty stopping in today to share these Raspberry Lime Cupcakes. Lately I’ve been so excited for fresh berries to come into season. It makes grocery shopping so much more fun when the produce section is bursting at its seams with juicy berries, fresh veggies, and so many bright colors. 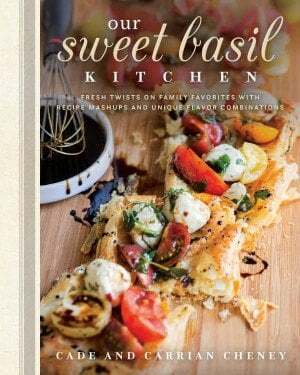 Plus, it’s the best inspiration for getting into the kitchen. So don’t worry we are definitely going to show you how to make a buttercream frosting with fresh berries so it wont separate. 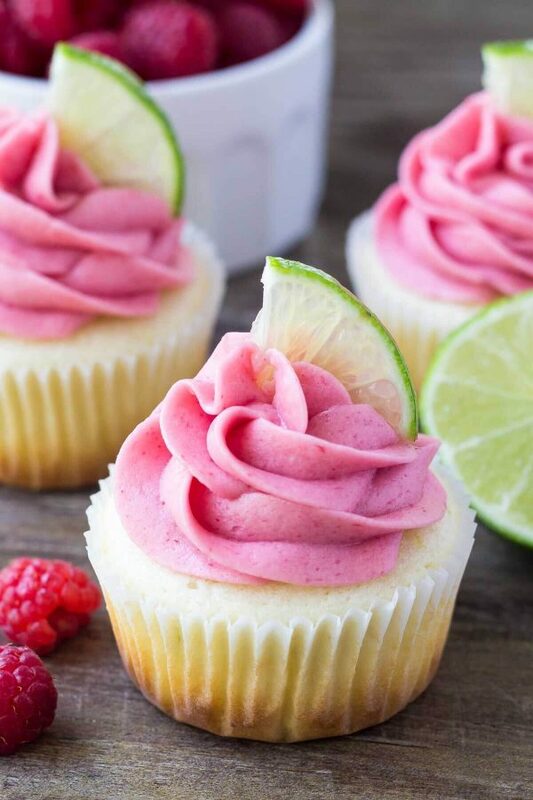 When I saw fresh raspberries at my local farmers’ market – I knew these Raspberry Lime Cupcakes would be the perfect recipe to share with you here on Oh Sweet Basil. I love spending Saturday mornings in the summer meandering through the farmers’ market. Growing up, it was a Saturday morning ritual for me and my Mom. We’d first go for cinnamon buns at our favorite bakery, and then take a walk through the farmers’ market that was right next door. We’d come home with asparagus (my Dad’s favorite), baby potatoes (my favorite), and of course – tons of fresh fruit. And it was always the best way to enjoy a sunny summer morning. 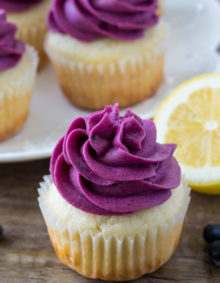 For today’s recipe, we start off with lime cupcakes. The lime flavor comes from both freshly grated lime zest and lime juice. It’s not overpowering or too strong, but instead it tastes light and fresh with a delicious hint of lime. If you want the flavor of citrus always add the zest as it packs that extra flavor! Cake flour definitely makes a difference when you’re making cupcakes, but don’t stress if you can’t get your hands on any. There are a few things you can do to still achieve a light, fluffy, and moist cupcake. The cupcakes are moist & fluffy because we’re using real butter, a mixture of flour & cornstarch (this acts like cake flour which creates fluffier cupcakes), and sour cream. The sour cream keeps the cupcakes soft & moist with a delicious cupcake crumb. Why Do Cupcakes Stick to the Liner? Cupcake liners are made out of a variety of papers and foils. They aren’t usually well-labeled, but the least expensive papers tend to be the ones that stick the most. Then the raspberry frosting is really the star of the show. (At least if you’re like me and eat cake for the frosting). It’s made with fresh or frozen berries, and has a natural raspberry flavor. I love that the pink color doesn’t come from dyes and the frosting actually tastes like it’s bursting with berries. I decorated my cupcakes using a piping bag and tip, but you could also frost them just with a knife if you prefer. The lime flavor is bright & fresh while the cupcake crumb is buttery and soft. Then pair it with the raspberry frosting – and it’s the perfect match! Buttercream frosting will remain good in the refrigerator for 4-5 days. Alternatively, put it in an airtight container and freeze it up to 3 months. When ready to use again, take out of the freezer and place in the refrigerator overnight to thaw. Preheat the oven to 350F degrees & line 2 muffin trays with muffin papers. You’ll end up with around 16 cupcakes. In a medium bowl sift together the flour, cornstarch, baking powder and salt. Then in a separate large bowl beat the butter and sugar together until fluffy. Beat in the lime zest, vanilla, large egg & egg whites until evenly combined. With the mixer turned to low speed beat in the sour cream and 2 tablespoons of lime juice, followed by the flour mixture. Finally, beat in the milk. Turn off the mixer and scrape down the sides of the bowl as necessary, and be careful not to over mix the batter. Bake in your preheated oven for 15-18 minutes or until an inserted toothpick comes out clean. 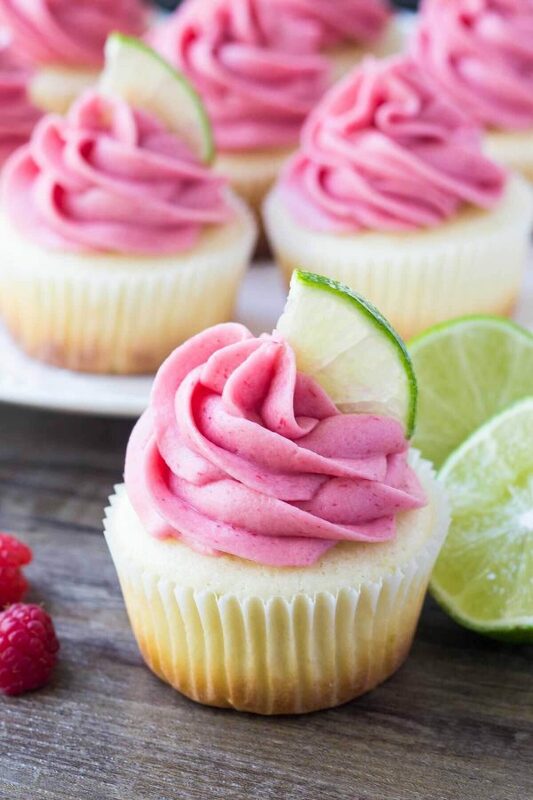 Allow to cool, and brush the top of each cupcake with the remaining 1 tablespoon of lime juice. (1 tablespoon of lime just divided between all the cupcakes. Puree the raspberries in a blender or food processor until smooth. Then strain through a sieve to remove the seeds. This is optional but recommended. Transfer the puree to a small saucepan and allow it to come to a gently boil as you gently stir the mixture. Let it boil for about 10-20 minutes, or until the mixture becomes thick and is about 1/4 to 1/3 of the original volume. Then place in the fridge or freezer to cool completely. In a large bowl beat the butter until it’s fluffy and lightened in colour, then turn the mixer down to low speed and beat in 2 cups of the powdered sugar. 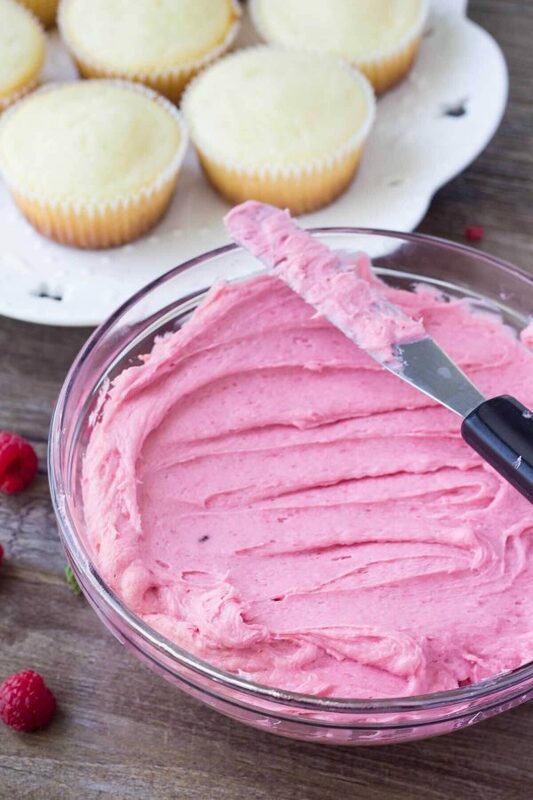 Ensure that your raspberry puree is completely cold (it cannot be even a little warm, otherwise the frosting will separate) then beat in 2-3 tablespoons. Finally, beat in the rest of the powdered sugar and 1 tablespoon of whipping cream if needed or a little extra powdered sugar. 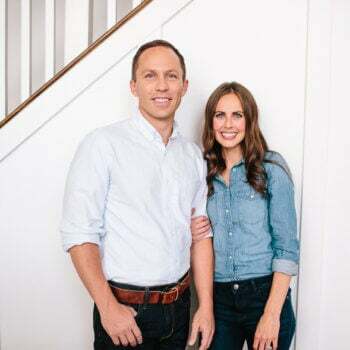 Head on over to my blog or connect with me on social media for more recipes! I’d love to meet you! These cupcakes have the perfect tropical flavor. 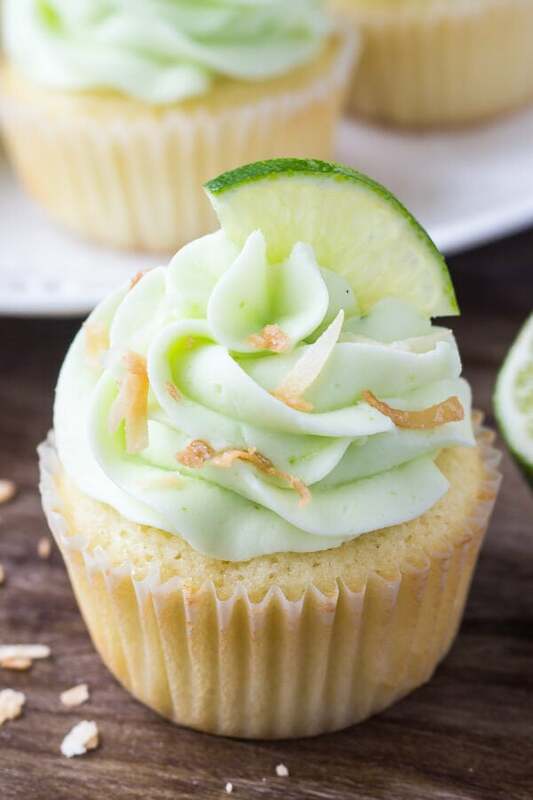 The coconut cupcakes are bursting with coconut, then the frosting is so creamy with a delicious hint of lime! 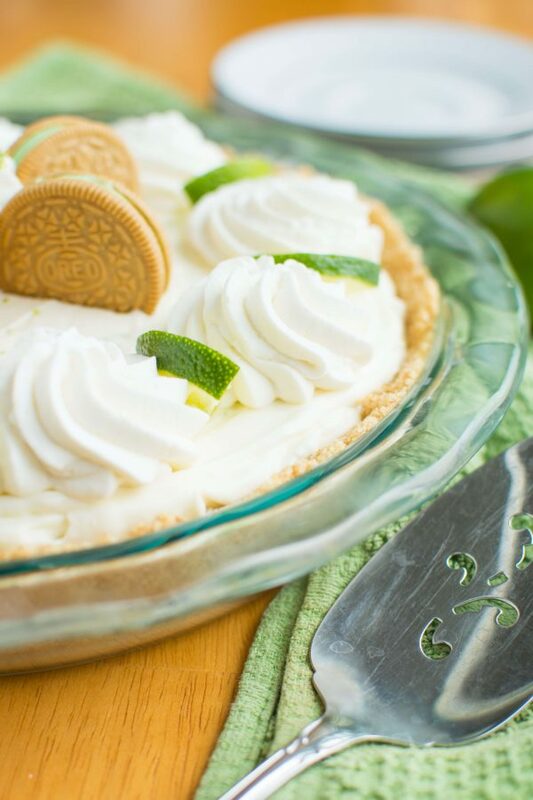 This no-bake key lime Oreo truffle pie is perfect for warm weather. White chocolate, Oreos & tangy lime all in one! The cupcakes taste wonderful and are fantastic. If you plan to bake more than 14-16 cupcakes for a gathering DOUBLE the recipe for the cupcake batter. There is more than enough frosting in a single recipe for piping or otherwise. I made these for a birthday party (I don’t bake many cakes, definitely a good recipe for a novice) and only had 14 cupcakes. Had to buy a cake and just had an array of options for the party. These are excellent cupcakes just hope if there is anyone else out there planning a party they know. It’s a bummer having beautiful homemade cupcakes next to store bought cake. It worked out since it was a kids party with adults as well so the kids got store bought adults got these. The crowd went wild! Darnit! I’m sorry about that but just love your review. Thank you for taking the time to leave kinds words and good information for the next baker. I’m all about the reviews that help everyone out. Wish we could make the yield bigger on the recipe card so it’s more noticeable. Loved the cupcakes, I would like to use cake flour instead of the combo of all purpose and cornstarch… how much cake flour does this equal? I have tried to figure it out without success! help! Thank you! 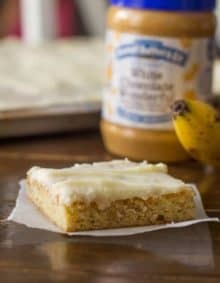 Thanks for sharing this amazing recipe! My family and I made them tonight and they are already gone! So light and summery! Just delicious! Just made these tonight. They taste divine!